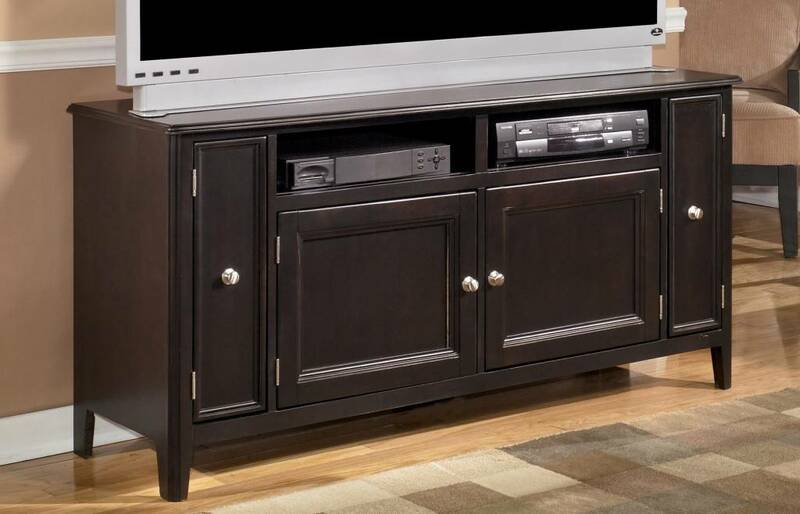 Additional Information Constructed with select veneers and hardwood solids. Rich dark finish. Nickel color hardware. Inset doors. Lighted pier and adjustable bridge. Vented media storage. Cord management throughout. 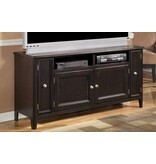 Additional Information Center shelf (2): 19 5/8" x 15 3/8" x 5/8" Side shelf (2): 15 3/8" x 7 5/8" x 3/4"